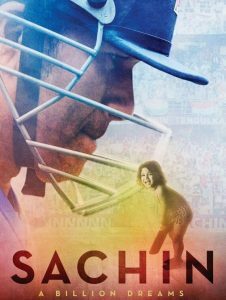 Sachin: A Billion Dreams’ hit the screens on Friday amidst much hype and anticipation. Ever since the news of a film on Sachin Tendulkar’s life broke out, the entire nation was eager to witness the journey of one of the most celebrated names in Indian cricket history. Yeppar Team also giving a gift to the god of cricket on this amazing occasion of his movie reality with augmented reality. we collected some Sachin rare pics with amazing facts and created a 3d book about sachin. To see this 3d book you have to scan sachin movie poster with yeppar application( Ios/ android). watch this video to know how exactly how this is going to be real. Sachin Fan’s Also See The Best moves, Shorts or Sachin Best Moment Saw on their 100rs note.It so simple download yeppar app from play store for android users and iTunes for iPhone users.We are share here the sample video for how to scan or watch to gift for god of cricket booklet or his best moment.